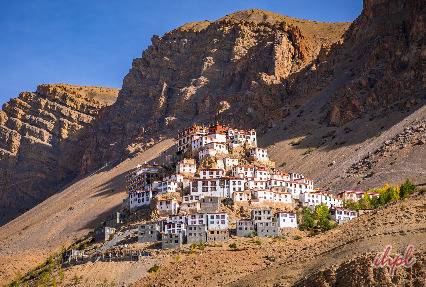 During the Ladakh with Himachal tour you will visit the most popular and famous monasteries of the Ladakh region, commissioned by different rulers. 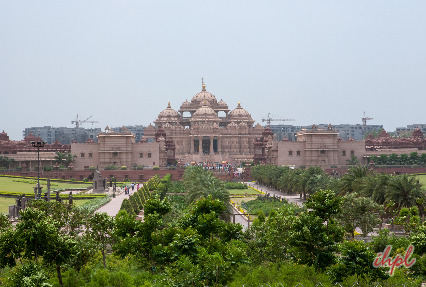 The tour starts from Delhi covering visits to major tourist attractions like Laxmi Narayan Temple, India Gate, Parliament House, Swaminarayan Akshardham temple. On reaching Leh, explore the Leh Mosque, Kings Palace and Leh Gompa. You will enjoy a full day excursion to Khardongla pass, the highest motorable pass in the world. Attend the prayer ceremony at Phyang and Spituk monastery. 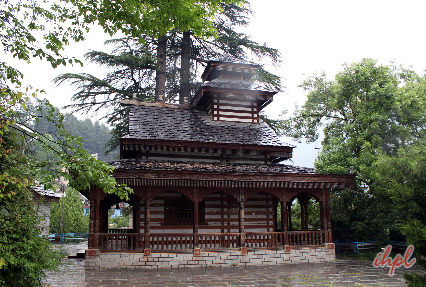 Explorethemajor tourist attractions like Hadimba Temple, Tibetan Monasteries, Manu Temple and Solang Valley, at Manali. After arrival at Delhi, you will be received by our representative at the airport, who’ll arrange transfer for you to one our listed hotels. Spend overnight at the hotel. 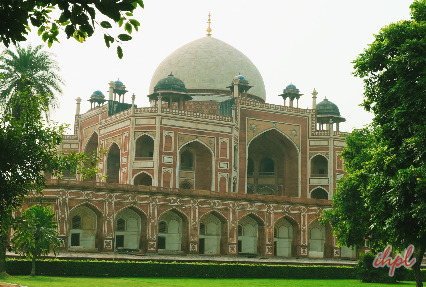 In the morning after breakfast, start for city tour of Delhi covering major tourist attractions like Laxmi Narayan Temple, India Gate, Parliament House, Swaminarayan Akshardham temple, Humayun Tomb and Red Fort. In the afternoon visit India Gate, Qutab Minar and Chhattarpur Temple. Stay overnight at the hotel. In the morning wake up early, transfer to the airport to board the flight to Leh. On arrival, check-in at one of our listed hotels and enjoy a nice, filling breakfast. We’d suggest you take full day rest for high altitude acclimatization. Later in the evening take a leisurely walk to Leh market, to buy pearls and coral jewelry. Spend night at the hotel in Leh. Early in the morning leave hotel for full day excursion to the famous monasteries. Attend the prayer ceremony at Phyang and Spituk monastery. Later in the day, visit the Leh Mosque, Kings Palace and Leh Gompa. Also visit Shey Palace. Retire for the night at the hotel. Enjoy full day excursion to Khardung La, the highest motorable pass in the world. The Khardhongla Pass offers its visitors with the view snow capped mountains. Late in the afternoon return to the hotel, at Leh. Enjoy night stay at the hotel. 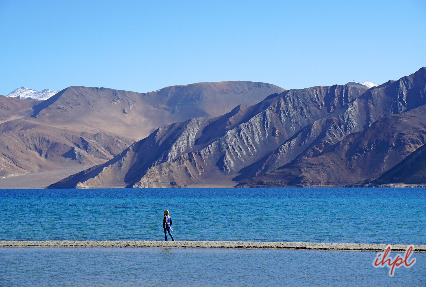 In the morning after breakfast, enjoy a full day excursion to Pangong Lake. The Pangong lake is one of the most amazing Lakes in the entire Himalayan region. The Lake is 5/6 kms wide and over 144 kms long with half of it running into the other side of the ‘Indo-China Border’. The lake changes color 3 to 4 times a day. Return back to the hotel in the evening. Overnight stay at the hotel. Next morning after breakfast leave for Sarchu. The place is located 222Kms away from Leh. It is an important halt that provides for tented accommodation on the Leh-Manali Highway. It offers travelers 15 Royal cottages and 24 Swiss Cottages for accomodation. These water proof camps are stitched out of canvas which is prefect to save you from cold winds. While driving to Sarchu on stop midway at Upshi to visit Hundur and Hemis monastery.Enjoy an overnight stay at the camp. Post breakfast, drive to Manali via Jispa. While crossing Jispa, spot amazing scenery and panoramic views of the lovely Himalayas that pass by you. Upon reaching Manali check-in at one of our enlisted hotels. Rest and relax for a while. After lunch, step out for visiting Manali’s major tourist attractions like Hadimba Temple, Tibetan Monasteries, Manu Temple and Solang Valley. Also enjoy Vashist springs for a hot sulphur spring bath, known to have medicinal powers. In the evening return to the hotel for overnight stay. Wake up early on the 9th day of the tour, and move out for a full day excursion to Rohtang Pass. The place provides one with breathtaking vistas of the Himalayan mountain range. Adventure tourism is highly drawn to this place for enjoying adventure sports ranging from Paragliding, Skiing, Mountain biking and Heli skiing. You may visit Beas Kund and Dasohar Lake that are closely located to the pass. The water in both the spots is transparent and finger numbing. In the evening return to Manali and enjoy an overnight stay at the hotel. After breakfast, drive straight to Shimla. On reaching Shimla, check-in at one our enlisted hotels. Combination of car and on-foot walks are possible in several areas. 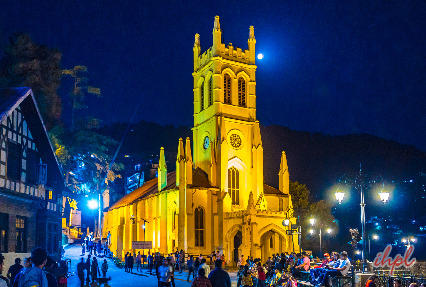 After rest for a while step out to explore the major tourist attractions of the city like Jakhu Temple, Chadwick Falls, Jakhoo Hill, Dorje Drag Monastery, Christ Church and the Tara Devi temple. Overnight at hotel. On the second day of your stay in Shimla go Ice skating at the Mall Road. You may also visit the zoo at Kufri. The latter part of the day is reserved for Kinnaur Kailash Parikarma Trek to experience the Buddhism lifestyle, due to its proximity to Tibet. Enjoy an overnight stay at the hotel. In the morning after an early breakfast, leave for Delhi. Check-in at one of our listed hotels, upon arrival at Delhi. After some rest you will be transferred to the Delhi airport to board the flight to your onward destination.